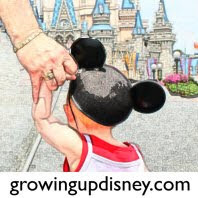 Growing Up Disney: 100 Days until the next Growing Up Disney family vacation! 100 Days until the next Growing Up Disney family vacation! We have 100 days until our next Walt Disney World vacation and this time the whole Growing Up Disney family will be there! We'll be arriving on Saturday, November 10, and staying at our beloved Old Key West. Sunday will be spent experiencing what we can of the last day of the food and wine festival. Disney released the list of marketplaces and menus recently and it all looks mighty tasty! For ADRs, I'm trying my best to plan around the girls' schedules and to provide a little structure to their day. An early lunch really works best for them. That keeps us from waiting too long and having them too tired and hungry to be pleasant lunch dates. It also gets us in to the restaurant before the crowds because we can't wait too long (see point above.) I'm sure there will be a visit or two to Olivia's and probably BBQ at Sonny's while traveling to or from (or both!) for DisneyDad and Mom. Sunday: Nothing, we'll be at Epcot for the food and wine festival. My mom prefers a real meal rather than snacking around the lagoon, even if it's counter service. That will work out well because the girls will need to do the same. Hoping we can talk the grandparents into taking the girls for a couple of hours while Andy, Chris, and I hit the food kiosks. Shouldn't be a hard sell. Monday: I've only made an ADR for a date night for Andy and me. We'll be going to Flying Fish for dinner. I'll have to watch the time and get us to either Columbia Harbour House or Pinocchio's Village Haus for lunch, which are my two best bets for what my girls will eat. Tuesday: We'll take a little break from Magic Kingdom and enjoy a ride on the monorail over to Kona Cafe for breakfast/lunch. Before heading back to the park, I'd like to stop by the other monorail resorts and check out the early Christmas decorations that will hopefully be going up. Wednesday: This is an Animal Kingdom day and I chose Tusker House. This was one of our best group meals on a previous trip but it was prior to the addition of characters at lunch. I'm a little leery of taking my already tough to feed preschooler to a character meal but we've decided to give it a shot. I'm hoping the smaller dining rooms will help provide a time when Tink can't see the characters and might actually eat something. Thursday: Another Animal Kingdom day. I'd like to get over to the Animal Kingdom Lodge to see the decorations there, so we'll visit Sanaa for lunch. The rest of us haven't been yet but Chris reported on a fabulous looking solo lunch a few months back.  I've been over my reasoning in another post (Thinking Big Picture When Planning a WDW Vacation with Children) but we will be skipping Disney's Hollywood Studios this vacation and providing more time for the girls to play and explore at Magic Kingdom and Animal Kingdom. If I haven't waited too long, I'd like to make reservations for the girls to get first haircuts at Harmony Barber Shop at Magic Kingdom. I may just have to get a trim for Baby Minnie. Tink has informed me that she does not want her hair to be cut. Ah, gotta love a three year old. Well, that's what we have on tap so far. As we get closer, I'll post other updates on our trip planning. It is so yum! Do NOT pass up the bread service or the Spicy Durban Chicken! We took Max for his 1st haircut to Harmony Barber Shop and it was such a pleasant experience! They really do know how to work with young children. Max was only 1. Sounds like you will have a great trip! I will be jealous when November rolls around!